We are trying to make sense of our emails and phones – it isn’t simple. Please transfer all your account queries to Jacky at yogafirst@optusnet.com.au If you want a direct answer from me, then as usual, yogafirst@netcon.net.au. To keep you in the loop. My painting of Buddhas are coming along nicely thank you. I am also planning a number of paintings of WHALES – “THE BUDDHAS OF THE OCEAN”. I started my commercial painting life all those years ago specialising in marine science, and here I am, back again. I have made a full circle. Sometimes people ask me to draw possums. I don’t plan doing any more possums – but whales? They are different. They are Buddhas. The Miniatures below are not finished, but they are on the way. They will be put on ETSY when you are ready. they will be fore sale. All the profits from the sale of my work goes to the Foundation. YOGA AT THE STUDIO and the Church AND THE FOOD BANK. Thank you to everyone coming to class. It is so very rewarding. We have a beautiful yoga class, then a lunch with lots of donated soups and cakes, and then meditation. Between these I encourage my students who need to, to go ‘shopping’ at the FOOD BANK. We have food, we have students and others who would be helped by the food bank, we just have to bring them together – these week, even baby food. I am now taking bags of food to people, as they are reluctant to use the service themselves, or they can’t get there. People, if you don’t use the food at the food bank, it will end up as land-fill. You don’t need a health card, or any other qualification. We don’t take names and addresses, we just trust that you would be helped… or someone you know would be helped. This week we even have baby formula. Please use this wonderful service. Thank you to all my wonderful students who are now coming back to the studio classes. I really do try to prepare the room so it looks warm and inviting, and Charlie purchased and donated some of those little twinkly faux tea lights, which add another glow to the room. Like the Food bank, the more you use it, the more we can provide. Please keep in mind that the consecutive class passes are CONSECUTIVE. I love a phone call to alert me if you can’t come, but that does not mean that the pass will extend for one extra week free. CONSECUTIVE IS CONSECUTIVE. I am holding a free demonstration of my work on board with oil pastels at THE ALCHEMIST art shop in Sunbury. The Saturday 13th October at 4pm. Yes, there has been a time change. Experience the joy of painting and drawing by learning to trust your intuitive self. Painting this natural, gentle way allows you to let go of the inner critic that keeps you away from your full aliveness and creativity. The oil pastels are a way of achieving a quick result, and you get to touch and smooch the medium across the paper. It is like painting with lipstick! TUESDAYS from7pm- 9pm COST $250 for 5 classes – we are taking September bookings. We are experimenting with DOT MANDALA technique to add to our new skills. SATURDAYS 9am SUMII (ZEN YOGA) BRUSHPAINTING – “ONE BREATH ONE LINE” $20 per session. This is the traditional painting on rice paper, but once the fundamentals are achieved, with a twist. On the longer classes, we will be doing it the “zen way” and painting things that can’t be painted. Love, joy, yoga, spirit, speed…etc etc. No right, no wrong, just what you can do. Your expression. We will be using traditional materials, we will be doing yoga breathing, AND A PAINTING will be the result.. Grind the ink, use the brush, paint the painting….. Sounds easy, BUT as in yoga, the foundations are everything. THE ALCHEMIST ART STORE, Sunbury (just around the corner from Aldi in Gap Road. A fabulous store which deserves a visit. Saturday 13th October at 4pm. 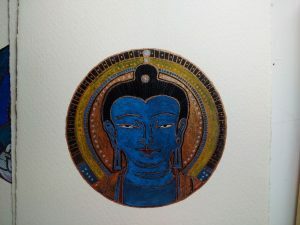 I am doing an in-store demonstration of the techniques I use for Mandala/Buddha painting on wood. I will show you how to prepare the boards, the materials I use and how to use them. Just turn up. No need to book – although you could mention it when you drop in for a visit. Beautiful linen, beautiful framing, French Sennelier pastels, Golden paint range – They stock only THE BEST. THE BUDDHAS OF THE OCEAN. I started painting Buddhas, and then realized there are a whole lot of great beings that we don’t think about as Buddhas, but they are – the Whales are obvious. So I have started a series of Whales. My ETSY shop sells everything pendulum and this week I am putting up some new pearly ones. You will love them. Pendulums you can carry with you at all times. Please… if you want a session, WE CAN DO. We have been having terrific PENDULUM Classes at the studio. We can identify additional minerals and supplements, balance your diet, test for food sensitivities…. Health, business whatever. $55 one question, $75 two questions $150 for a general life reading for people who are stuck. On the farm I never made a change without dowsing first. If you want to see if it makes a difference go see what the farm has become without the magic of dowsing – it is a dying jungle. TUESDAY (NO 6.30 Yoga) 7pm now an ongoing Thangka painting Class held at The Home Studio. WEDNESDAY 12.30 HATHA-YOGA 5.30pm Gentle Restorative at home Studio. 6.30pm Hatha at the home Studio. SAT. 9am Sumii ZEN YOGA PAINTING (60min Class), $30 per class, 10am Hatha Yoga. 12.30 Restorative. 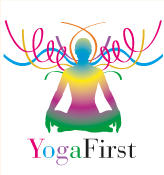 Yoga $20 per Class Or CLASS PASS – $135 per 10 CONSECUTIVE classes for long time students. New students will pay $165 per 10 class pass (normally $200) After 3 years as a student with us, the cheaper rate will apply. Teacher Training is also $20. UNITING CHURCH CLASSES (FREE or by donation) Next door to the Police Station, Forest Road, Woodend. Once again I am sending a call-out for beannies. A bit late I know as the next shipment I am told is being sent out to Nepal in November. Please, please get knitting. Don’t post them to me COD, best to deliver them in person. The postage can be very expensive, and certainly more than a ball of wool. If you decide to post, make a parcel of knitting from a few people – then it is economical (and sensible). What will you find on ETSY? YAMAS, CHAKRAS, HYPERMOBILITY, THE FIVE TIBETANS AND TEMPLATES and more. There are lots of books there to help you. PLUS TAROT/TAROT POUCHES/PENDULUMS…. They are on-line. It’s like a shop. For the best pieces, and the best deals, you need to go in every now and then and see what stock has arrived. Often only one of things. 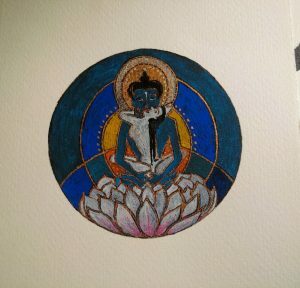 The Buddha miniatures below are still being worked on. But they are getting there. They will be on-line at ETSY, and they are for sale. The profits will go to our FOUNDATION. Saturdays at 2.30 suit me well. Which Saturday suits you? YOGA AT THE STUDIO and the Church (and THE FOOD BANK). We have a beautiful yoga class, then a lunch with lots of donated soups and cakes, and then meditation. Between these I encourage my students who need to, to go ‘shopping’ at the FOOD BANK. We have food, we have students and others who would be helped by the food bank, we just have to bring them together – these week, even baby food. I am now taking bags of food to people, as they are reluctant to use the service themselves, or they can’t get there. People, if you don’t use the food at the food bank, it will end up as land-fill. You don’t need a health card, or any other qualification. We don’t take names and addresses, we just trust that you would be helped… or someone you know would be helped. Please use this wonderful service. I am holding a free demonstration of my work on board with oil pastels at THE ALCHEMIST art shop in Sunbury. The Saturday 13th October at 4pm. Yes, there has been a time change. Experience the joy of painting and drawing by learning to trust your intuitive self. Painting this natural, gentle way allows you to let go of the inner critic that keeps you away from your full aliveness and creativity. The oil pastels are a way of achieving a quick result, and you get to touch and smooch the medium across the paper. It is like painting with lipstick! COST $250 for 5 classes – we are taking September bookings. We are experimenting with DOT MANDALA technique to add to our new skills. THE ALCHEMIST ART STORE, Sunbury (just around the corner from Aldi in Gap Road. A fabulous store which deserves a visit). “THE BUDDHAS OF THE OCEAN”. I started painting Buddhas, and then realized there are a whole lot of great beings that we don’t think about as Buddhas, but they are – the Whales are obvious. So I have started a series of Whales. WED. 12.30 HATHA-YOGA 5.30pm Gentle Restorative at home Studio. 6.30pm Hatha at the home Studio. The next one will be on Sunday 7th October, 2pm to 4pm at my home studio (37 Morris Road in Woodend). There is no need to book. Bring writing materials, and be early. If you are teacher Training student then the cost of the afternoon is $20 (to bring it in line with yoga classes). This fee applies to everyone. If you are a visitor and not formally a student teacher with us then the cost is $30 – for a 2 hour class! Come. BENDIGO Teacher Training classes – Next class is Tuesday 9th October at 3.30pm Turn at the Metricon building on the highway in Kangaroo Flat. It is a traffic light intersection, just up from Bunnings. Crusoeden is the building behind Metricon building, and faces Church Street. It’s easy to find. Cost: $20 per class (to bring it in line with the cost of a yoga class) for everyone who attends – thank you. (Directors – Jayne Boyle – crusoedenbody@bigpond.com). Regular classes held – please email for timetable. I write books to help you in your course. Please download them, and then please use them in answering your modules. WATCH OUT FOR THE NEXT ONE – NARRATIVE MEDICINE. A certificate course. If you teach yoga, you need this. No excuses. TAROT/TAROT POUCHES/PENDULUMS…. They are on-line. It’s like a shop. For the best pieces, and the best deals, you need to go in every now and then and see what stock has arrived. Often only one of things.